At our off-grid cabin, I want to power a 240V 3 kW residential hot water cylinder more or less directly from a 5 kW solar array (when the sun is shining). The panels are not required to do anything other than heat the water. If the sun is not shining then we have no hot water - that's OK. I want to use as few as possible parts, except for the panels themselves and the hot water cylinder. Here are some solutions I have rejected. Add to the above some kind of circuitry to turn off the inverter when the sun is not shining (we never want to actually dip into the ultra light-weight battery bank). I believe this would work, but would be hideously expensive. Also when the power from the sun drops below the 3 kW drawn by the water heater, the inverter needs to be shut down - whatever power is available is wasted. Connect the panels in a series/parallel configuration, with a blocking diode in series with each string, such that the peak voltage from the array is < 240V (the rating of the water heater). Connect the resulting DC directly into the heater element of the water heater. I like this solution from the point of simplicity, and virtually zero parts cost. 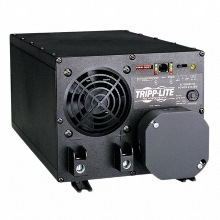 Also it makes best use of the available solar energy, and will work even when the sun is low, by just pumping a lower DC voltage into the heater. However I am concerned about damage to the heater's element due to electrolysis, from running it on DC instead of the AC that it is designed for. Some kind of DC to AC chopper that can turn the DC from the panels into AC, at <= 240V. I don't believe the heater will suffer if it is driven from a lower voltage than it is designed for. This solution also makes maximum use of the available solar energy. However I'm not familiar with building this kind of circuitry, or whether this is in fact a good idea or not. I know that there is a team behind firebee. But you are always the one who defense it very strong against very logical arguments. But maybe some of them now work already on the new platform based on Apollo 68080. So why instead of being happy you shot against me and them? Nobody tells that the new thing will be commercial as it will be based on open source components like firebee, like mist, like suska, like supervidel, like EmuTOS, like MiNT. (this is absolutely compareable to Firebee as Coldfire, like Apollo processor core, is not open source.) One of the guys working on it earns it's money with solar panels. Also the Apollo team has othet things as job, no wrong, they are processor design guys, but Apollo is their hobby. Need solar roof top solar system equipment, But i don,t know the cost of those equipment. Any one can help me for that ?